Enjoy unbeatable stand-up comedy on the third Saturday of every month from some of the biggest names on the UK comedy circuit – and beyond! Featuring three different acts every month, alongside a top MC, this is Saturday night entertainment at its finest; what better way to get together with your mates for a barnstorming night out?! Here, more particularly during the colder months, to warm the proceedings through and through, divert our attentions awhile, and provide a good ol’ seratonin boost when its needed most. Longstanding Barnstormers Comedy MC Kevin Precious (pictured) will be on hand to introduce three more top acts from the London Comedy Comedy Circuit and beyond. This month, they comprise: the wonderfully measured musings of Ben Norris, ‘It’s his sharp, biting comments that make Norris’s set stand out, the often harsh impact of the sentiment cushioned by his easy-going, everyman persona.” – Chortle; the effortlessly affable Quincy, ‘A bold act that is sure to be a crowd-pleaser’ – City Lights; and one great act as yet to be named. 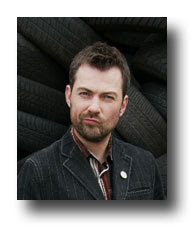 Ben Norris is a British stand up comedian who has been performing on the comedy circuit since 1993. 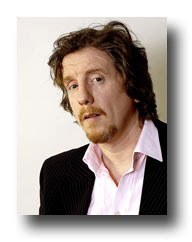 He has appeared on a range of different television shows such as Mock the Week and Never Mind the Buzzcocks. He was the warm-up man for the 7th series of Mock the Week on which he also appeared three times as a guest, on one occasion standing in for Frankie Boyle, who became ill moments before filming started and had to be taken to hospital. A regular at The Comedy Store, in recent years Ben has become a member of the Tuesday night ‘Cutting Edge’ team. Ben has twice been Ed Byrne’s support act on national tours, He is also the cousin of actor Martin Freeman. 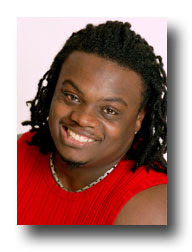 Award-winning comedian, Quincy, is a stand-up, presenter, writer, actor and host with appearances on Comedy Central’s Comedy Blue, MTV’s Comedy Funhouse, and BBC Radio 4 Extra’s Comedy On The Boat. His live comedy work regularly takes him as far afield as Dubai, Mumbai and Singapore. He has written and performed two narrative comedy hours in Edinburgh and as well as performing comedy at all the major UK comedy clubs, Quincy tours in large-scale venues in sketch shows and mixed bill comedy line-ups. His own show Quincy’s Comedy Lounge is a regular sellout at Stratford Circus and he returns to The Bloomsbury Theatre with a solo show this October. He has supported Gina Yashere and currently has a sitcom and comedy drama in development. Seats can be reserved for groups of six or more; please call the Box Office on 01273 464440 to arrange. Comedy at Ropetackle is supported by Pembroke Financial Services.